Is there a better feeling for a student then to have completed a final term paper or to be finished with a final exam? After typing the last few words of my paper yesterday I printed it out and left for campus early. 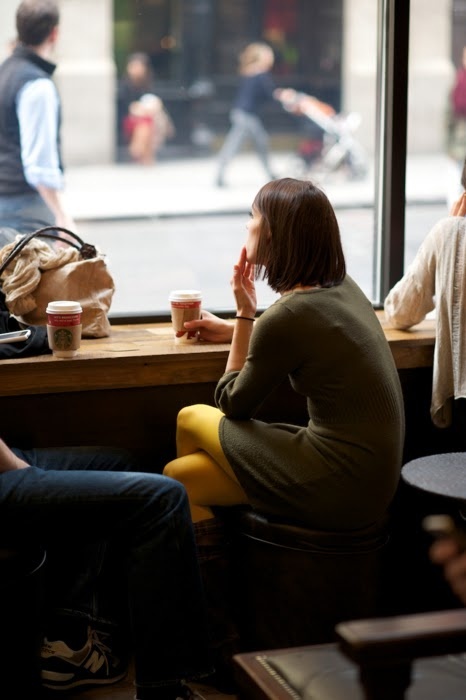 Once on campus I went to Starbucks, ordered a chai tea and read for a while. 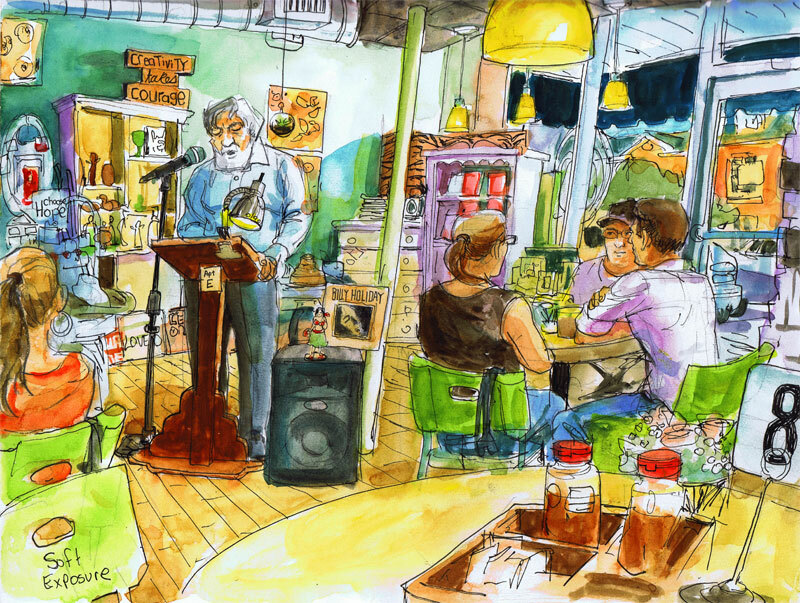 I have always loved reading at coffee shops. There is something about being out in public alone that I find so enjoyable. I always sit in front of the big picture window so I can occasionally look up from my book and see the goings on outside. Students skate boarding by, professors lugging their books and brief cases, storm clouds rolling in, trees blowing in the breeze. It’s nice to have quiet time to allow my mind to wander. It has been so overcrowded with assignments and obligations and social activities recently.. Looking out the big picture window yesterday I realized it was the first time I had allowed myself to daydream in a while. It seems like such a frivolous thing but it feels so good to just be present and let your thoughts flow freely. I can’t remember now what I was daydreaming about yesterday. But this morning I was sitting in the sun room with my orange spice tea thinking how envious I am of people who live in big cities and get to commute to work by train, not subway but train. Every time we are in Chicago we take the trains everywhere and it is such a thrill for me. It is undoubtedly one of the things I look forward to most, second to actually being in the city exploring. I always think how fun it would be to be one of these professionals on my way in to work with my coffee and my book or newspaper. What a serene way to start your day. Much nicer than sitting in traffic listening to the mindless banter of the radio personalities. I knew we have the sun rail now but it cannot take me where I need to go. If it could I would use it all the time without hesitation. At 5:00 when Starbucks was closing I took my reading outdoors. In a way it seems more appropriate to read Anne of Green Gables outside anyway, with the way she loves nature so. A storm was moving in which made the weather cool and increasingly breezy. I love the moments right before a big storm, ominous clouds, gusty winds that thrash the tree branches, it always seem so quiet, eerily quiet. It was a beautiful time to sit and finish my chapter. Now that my assignments are finished for the semester I have a little extra downtime, not much extra mind you, but a little. 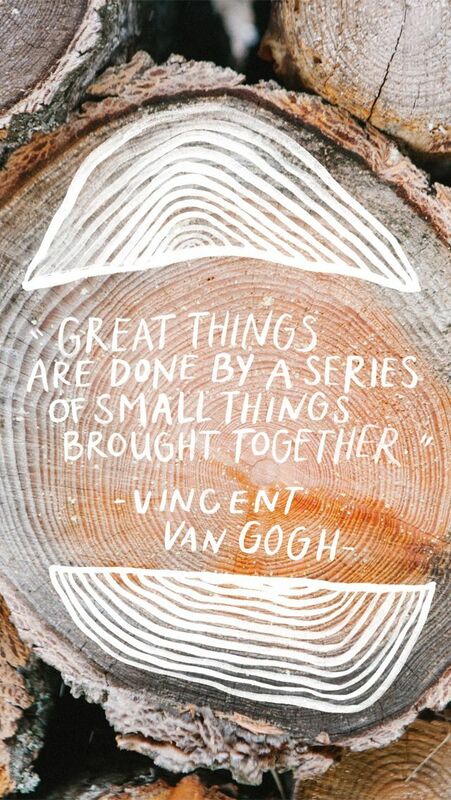 I have a few projects lined up for myself outside of the volunteer work I am involved in. There is some painting I have wanted to do and my mother has been bursting at the seams to work on some wedding projects, I guess there is time for that now as well. I can feel creativity coming back to me and I am excited to set it free. It took me no time at all to get through The Fault in our Stars. Over all I would say it was not for me. It did capture my attention so I will give it that, somehow there was a believability issue though. In truth I cannot quite put my finger on why I didn’t real buy in the story. After its completion I was ready for something a bit more substantial. I turned to Geroge Orwell’s 1984. This was not ever required reading for me in school and I have always been curious about it. I like it but it is dry and morose, with the intention of being so I am sure. Every time I pick it up my mood shifts. I am about half way through and decided to take a break. 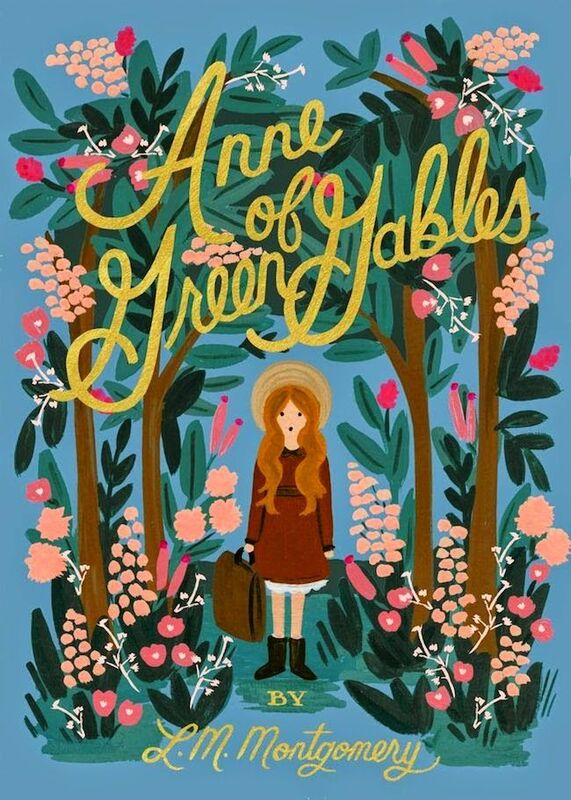 In order to lighten my mood I picked up one of my favorites from childhood, Anne of Green Gables. Although I know the story, I watched the movie over and over as a child, I have never actually read the book. If it is possible I love it even more than the movie. I love Anne Shirley’s sense of wonderment in everyday things that so many take for granted. I love her wild, boundless imagination. 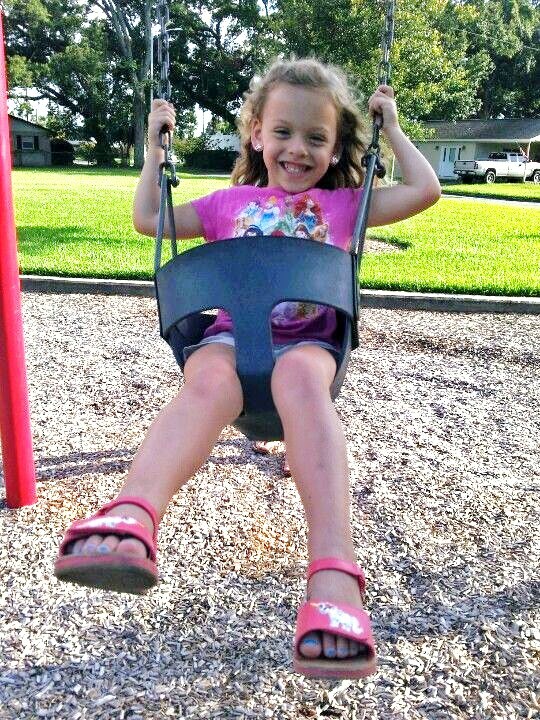 And I love that this tornado of a child turned the lives of so many upside down and made them feel, truly, deeply feel. I always identified with her passionate spirit and find that I still do. It is as if Anne is the bosom friend I always wanted growing up. 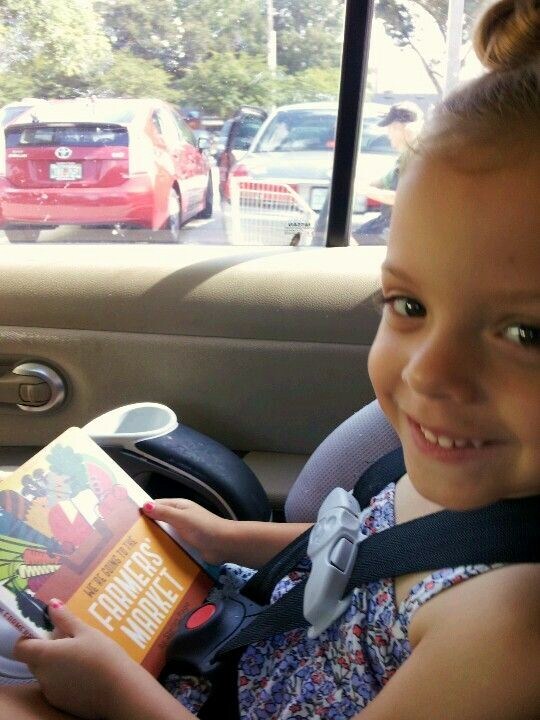 I look forward to reading this book to my future daughter or if I am not so fortunate, then to Maddie. It’s a story all little girls should experience. As I close out the semester the last few weeks have found me furiously writing paper after paper to be submitted for end of semester grading. I am nearly finished with my final paper, a reflection paper on the volunteer hours I worked this semester. In total I completed 42 hours between Ronald McDonald House, Heart of Florida United Way and Hospice of the Comforter. It made for a busy summer but a memorable one as well. 40+ hours over the course of a two month period really isn’t much if you think about it, no more than 5 hours a week usually. This very fact is encouraging in my opinion. It just shows how doable volunteer work can be. I don’t mean to sound like a Sarah McLachlan infomercial, “for only 1 dollar a day you can make a difference in an animal’s life”, but for anyone who has an interest in the betterment of their community but feels hesitation to make the commitment I just want to show that it is a relatively small commitment of one’s time. I really enjoyed all the different opportunities I have had to be involved this summer. It was fun to see all the classic titles as well as books from my childhood while involved with United Way’s book sorting event. 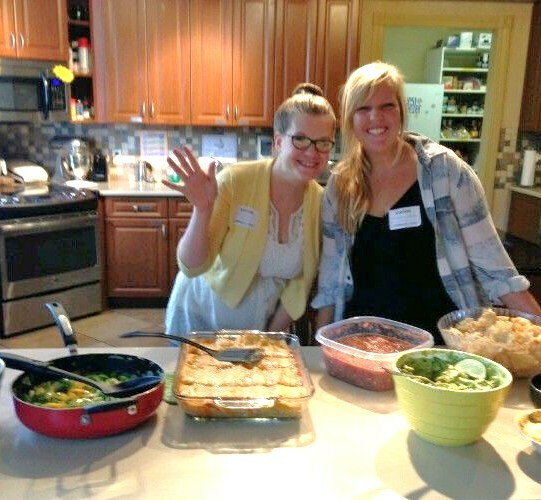 Cooking at the Ronald McDonald house was a fun and encouraging experience. What woman doesn’t appreciate a little validation that her cooking is not only edible but actually good? Hospice has been my favorite though of any organization I have had the fortune enough to be involved with. My biggest take away thus far is just how comforting a listening an ear can be for someone in crisis. Surprisingly through all of the training and working my first few shifts solo I have not been that nervous. Usually, with any new experience, there is a degree of nervousness. I think that is be expected for anyone. My nervousness normally stems from me feeling ill prepared, as the experience is new and you are not familiar with all of the ins and outs yet, and my eagerness in wanting to catch on quickly and do my best. Because I received 3 weeks of orientation and training before ever entering the IPU there really was no feeling of being ill prepared thus eliminating any anxiety that would have otherwise been present. As far as concerns about catching on and doing my best, for once in my life I knew I was good enough just as I was. I knew/know this is something I can handle and will do well at. If my job is to offer comfort there is no doubt in my mind I will succeed and so far I have. In a short span of time I have made some very meaningful connections with both patients and family members. This is encouraging as in most cases I will have limited time to make these connections. With Hospice being what it is the turn over rate is rather high and there is no guarantee that I will see the same faces from shift to shift. The time to help and make a connection is in the present, with Hospice you don’t often get second chances. That is not to say it never happens though. Another nice aspect of being involved with Hospice is forming relationships with the social workers. Over the weekend when I was there I met a social work intern from UCF as well. She is in the Master’s program. It was great to have a chance to talk to her about school and the programs. She did Psychology as her undergrad and found that she was unable to do the kind of work she wanted to without a Master’s so she decided to study social work. I loved being able to pick her brain a bit and hear her stories and experiences in the program and in life. I really wish I knew more people who were in the program or graduated from it. I really enjoy just hearing stories from the few people I have met along the way that were in UCF’s social work program. The social worker at Cherokee School, where I previously volunteered, was a great resource for information on the program but it had been so many years since she graduated that we both knew much had changed since then. I ran into a fellow school mate from high school a few years ago right when I was leaving the Hospital to go back to school full-time and discovered that she was just finishing up her Master’s in social work from UCF. I would have loved to have met her for coffee one day and gotten her take on everything, especially since she was interning at the Hospital in an area that I am interested in as a future career path. The whole encounter was very serendipitous. One problem though, she was currently dating my ex. In most cases this would be no problem at all but in the case of this ex it was. Which is unfortunate because I have always known her to be a nice girl, the few interactions I had with her over the years were always pleasant. In other circumstances I would have loved to have been able to follow-up with her and hear her stories and experiences. I am sure that as time passes I will meet plenty of people from the program and have plenty of chances to share stories. Next week is the park restoration project. I am very excited to see what is in store for us when we get there. I am quite sure this will be the most hands, down and dirty volunteer work I have ever tackled. There is something to be said for working with your hands in the earth though. Plus I am excited that in this case we will be able to physically see the difference we have made. In most cases you go in and offer help and just hope you made a difference without ever knowing for sure. This will be a fun change of pace. Friday was Maddie’s big day/night with Aunt Bean and Uncle Todd. 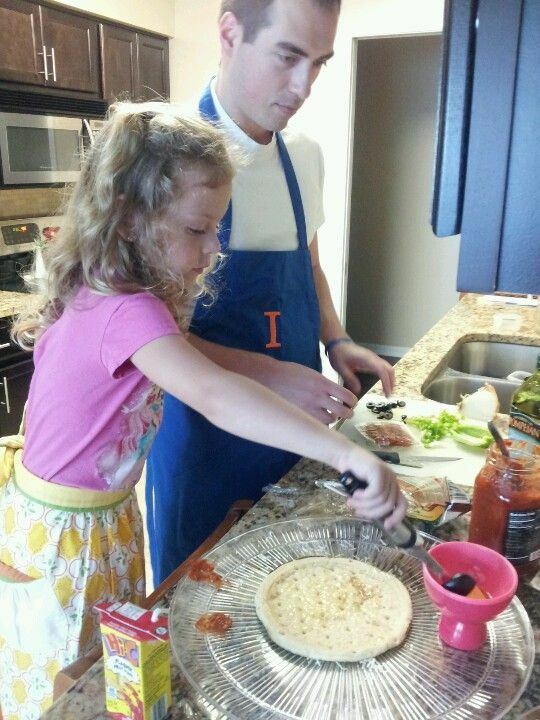 We had a great time making pizza, going to the park and lake as well as playing hide and seek in the house and watching The Little Mermaid Friday night. 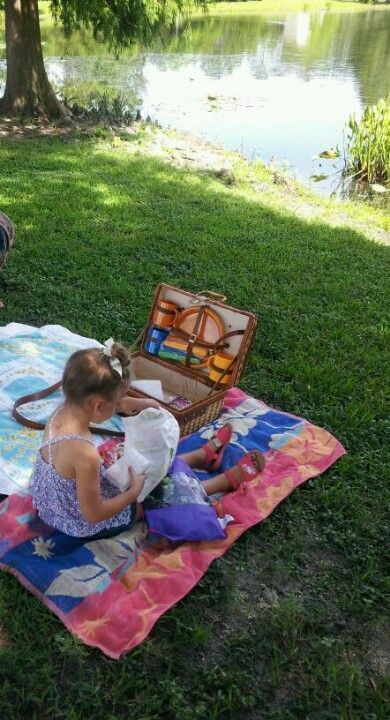 Saturday we had a picnic by way of the farmer’s market. 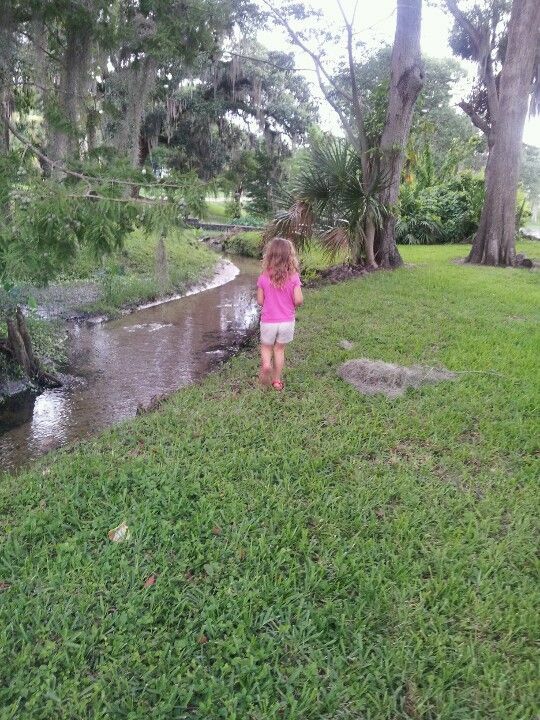 There is a small foot bridge that crosses the creek, Maddie decided she wanted to know what was underneath. 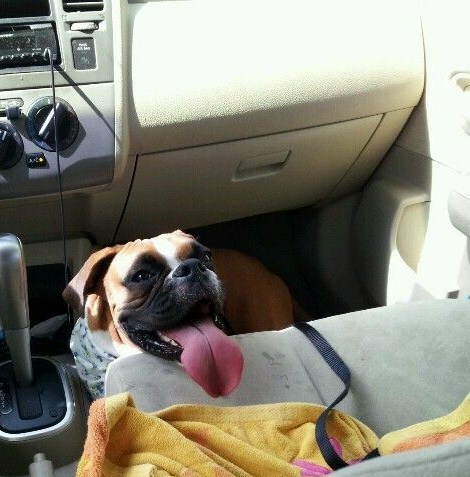 Lucy was worn out, she didn’t even bother getting into the seat. The first thing my girlfriend said to me when I picked her up Sunday morning was, “So do you like to cook?” I paused not sure how to respond. Well I don’t hate it, cooking for strangers is kind of scary though. I have no idea if I cook well or if Todd just has low standards. We both laughed as I drove us to the grocery. We were spending the afternoon cooking for the residence at the Ronald McDonald house at Florida Hospital. She proceeded to explain that she had chosen enchiladas as the meal we would prepare. My face lit up as I explained to her that there were three things I know I make well and enchiladas just happens to be one of them! Suddenly any trepidation I had about cooking for strangers began to melt away. When we arrived at the grocery we met two of her friends from bible study (cooking a meal for the residents of the Ronald McDonald house was the service project they chose for the bible study group). After introductions we set off to purchase our supplies. While in the ethnic food aisle it came to light that no one in this group actually knew how to make enchiladas. Suddenly I was taking the lead on the main dish that would be prepared. I know this recipe like the back of my hand so that was no concern but we were cooking for a much larger group than I was accustomed to and I did feel a bit ill prepared on how to double or triple the recipe. Here is the thing about that, I do not follow an exact recipe (shocker). I know the ingredients involved and I do everything to taste. There are no precise measurements to double per se. The group helped me determine what would be an appropriate amount of supplies and we finalized our shopping trip. Cooking went well. I had such a good time, as did everyone else. I love that one of my best girlfriends and I got to share the experience, that really means something to me. It is so much more special. I ended up making two pans of enchiladas myself. As confident as I am in this recipe being good it was still a little nerve wrecking to have the pressure of the main dish laying solely on my abilities as a cook. The Ronald McDonald house employee overseeing our efforts took a break to come and eat what we made when we finished cooking and her positive response was wonderful validation. 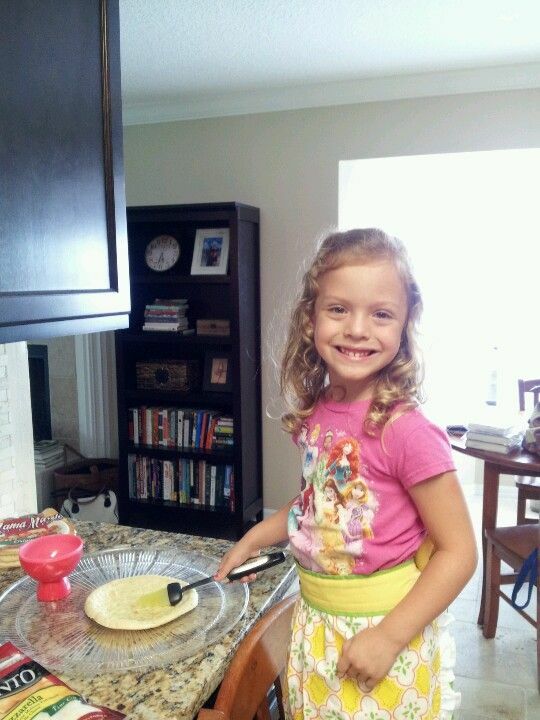 In fact, she would not let me leave without first copying down the recipe for her. We had a five minute discussion about the ins and outs of the recipe. That was pretty nice. After clean up we were given a tour of the facility and gained some insight and knowledge about the company. It is meaningful important work they do and I am glad that on a small level I was able to contribute. I will be writing a separate post about my experiences while volunteering with Ronald McDonald house this weekend. This post is in regards to an observation I made while interacting with the group I volunteered with. Last week I reached out to a girlfriend about volunteer opportunities. Specifically, if she had suggestions on any I would maybe enjoy. I was unsure whether she volunteers or not but knowing her as well as I do I had a feeling she probably did. I was right. She mentioned that her bible study group had plans to cook a meal for the Ronald McDonald house over the weekend and invited me to join them. I did not hesitate to reply with an enthusiastic yes! This is an organization I have been interested in for a while but was unsure how to offer help. I was excited to have the opportunity now. It was a great experience. I came home feeling fulfilled and full of purpose as I do after volunteering. This evening Todd and I decided to go to dinner. Today was technically the anniversary of our engagement so we decided to use that as an excuse not to cook. (I was uninterested in being in another hot kitchen after spending two hours in one earlier in the day). Over dinner we were discussing the books we are both currently reading then we got on to the topic of documentaries. He was filling me in on a religious documentary he recently watched and that led into our next discussion. I need to set up this next discussion for you by giving some background. Something that I really enjoyed today that was different from other times I have volunteered was the fact that I was part of a group. Today I was working alongside like minded individuals interested in the greater good. The conversation was stimulating, the positive energy shared among the group was infectious, it felt really nice not only to give of myself but feel apart of something within this group. After our work was done we went to lunch together and the conversations continued. I really enjoyed the company of my friend and her friends. The only detail that really made me feel separate from the group was the religion factor. As this was my friend’s bible study group at times discussion of religion would come up, which I am completely comfortable with but I just do not happen to relate with. Some of her friends shared specific stories regarding their faith which I could totally identify with, I was easily able to empathize with the feeling of taking a leap of faith and having to trust that things will work out. None of these feeling are attached to religion for me though. For me these scenarios involved faith in myself or others, conviction in my decisions and believing in my abilities. At the end of our time together more than one of her friends eagerly encouraged me to join their bible study group, commenting on how I am exactly the kind of person they would love to have involved. I thanked them and told them how much I appreciated them including me in their group today and how much I enjoyed myself as well as their company. I never did mention that I am a nonbeliever. It goes back to being in the closet. I do not deny my feelings on religion when asked directly what they are but I also do not broadcast my beliefs (or what some would consider lack there of). There are a few reasons for this, one is appropriateness. I was raised and still do believe that it is inappropriate to discuss controversial topics openly with anyone who you are not intimately acquainted with, and even then appropriateness might be questionable. So back to dinner with Todd. This is not the first time I have had these thoughts and feelings but as a nonbeliever/humanist I do feel that I/we (we being any nonbeliever not specifically just Todd and myself) miss out on the element of community and involvement one gets when affiliated with a Church/Temple/Synagogue/Mosque etc. I do feel connected and a sense of camaraderie among those I have met that share my views but it certainly is not the same as the experiences I had when involved with church as a preteen. There was absolutely a sense of community and interconectivity. There was a place for me to be with people of like values and be apart of meaningful activities. Every summer I was involved with whatever musical the youth group was putting on. It gave me a sense of purpose when not in school and gave me something constructive to do. We would beach trips and service work to do. I liked feeling apart of something worthwhile and do feel like I am missing that. The thing is I know in my heart that I am not the only nonbeliever that feels this way. As a humanist (a label I am still deciding if I want) my interest in the betterment of humanity I feel lends itself to wanting to feel a connection to others and the world. I would love to have meetings for an hour or two with like minded people to discuss science, culture, literature and social issues as well as global issues. I do not think theism needs to have anything to do with it. I guess I do feel a bit left out. And if that is what it means to be able to keep my convictions I am willing to accept that, just not quite yet. I do feel like there is more to be had and am hoping that in my travels this “more” I seek will come about organically as I feel all good things do. Living in College Park has helped with these feelings. There is a strong sense of community thanks to block parties and local events that encourage everyone to get out and get involved. Ultimately I have a lot of life left to live and a lot of people yet to meet. It has been a whirlwind of a summer, as I expected. It has been so busy the last few months at times it has felt like I am living three days at once. I start my morning at 8 usually and no more than blink to find that it is suddenly 3:00. God forbid I blink again then suddenly it’s 10:00 and time for bed. I am feeling accomplished today though. It’s just turning the corner on 12:00 and I have lined up two new volunteer opportunities for myself along with scheduling a time to interview my grandmother for a paper I have to write for class, I have my finger printing appointment for Hospice scheduled, took care of some banking matters as well as some school matters not to mention I made 20.00 selling some of my clothes I no longer wear. Yeah, I am feeling pretty good right about now. I am going to reward myself with a bit of time to write and a bowl of Ramen noodles. This summer I have managed to cut the contents of my closet in half and properly organize the remainder. I donated a good portion to a family member who is always happy to take unwanted items off my hands, as well as red cross. The remainder that I actually thought I could get a little money on went to Plato’s Closet. I am just glad to have the extra room. My closet was ready to burst at the seams. I started keeping a record of my outfits a while back to help me decide what I liked and what could go. This record has also come in handy when having a “I have nothing to wear” moment while getting ready to go somewhere. I have not bought any new clothes in quite a while because I can just reference the photos and suddenly I realize, Oh yeah, I liked that outfit, I will wear that. During the summer long purge I also managed to get rid of quite a few pairs of shoes I was no longer wearing. This was a huge relief as the shoe situation in my closet was almost to the point of crisis. 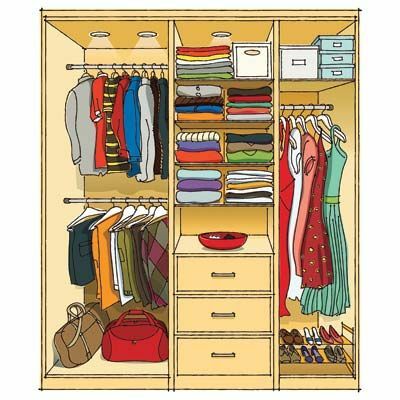 Before this summer my clothes, shoes, hats, scarves and purses were wholly monopolizing three closets in the house. I have successfully scaled back to 1.5. And really the half closet is more of a storage situation for winter coats and work clothes that are boxed up until I need my professional clothes again. Now that we have a little extra room Todd is talking about building me a shoe shelf to help with organization in my walk in. I am thrilled! It was enough to move into this house and have a walk in closet all to myself, I am over the moon about the thought of a shelf to display/store all my favorite shoes. So I am excited about the volunteer hours I have lined up for myself. I am going with a girlfriend of mine Sunday to do a meal at the Ronald McDonald house. It is not far from where we live (she is in college park as well) and I have been interested in volunteering at the Ronald McDonald house for sometime so I jumped at the chance when it came up. Plus I am excited to have a friend that is also interested in being involved in the community this way. I have always just volunteered by myself. It’s nice to have someone who shares a passion for this kind of thing. On that note, we were both so excited about having someone else to volunteer with that we signed ourselves up for a city park restoration event in August. Here is the bonus, it is being handled by Budlight which means free beer when we are done working with the restoration. Volunteer work, spending time doing something I enjoy with a friend and free beer.. Not too bad for a Friday night. I am really looking forward to it. This rest of this week is full of things to do. Tomorrow I have to get my finger printing done for Hospice then hopefully by next week I will be cleared to start. I also have dinner plans with a friend that I made in Spanish class a few semesters ago. We have kept int touch and I look forward to catching up with her. She is A Psychology major in undergrad at UCF and then plans to do Social Work as her Masters. We are hoping to be applying to Grad school at the same time, we shall see. Friday I am going to visit with my grandmother and interview her for a writing assignment due next week in class. I am actually excited to have some time just me and her. I don’t think I have ever spent one on one time with her as an adult plus to get to hear her life story, I think it is going to be a really nice afternoon. 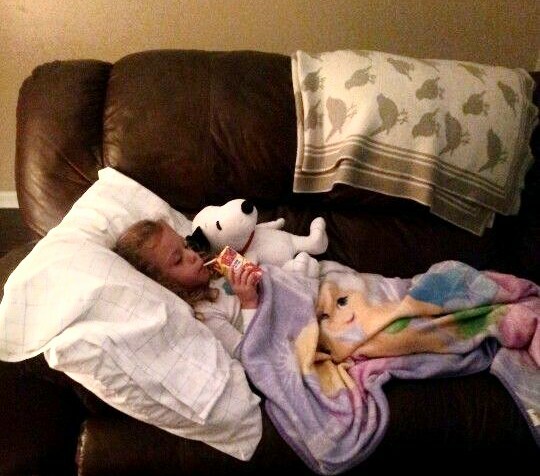 When I finish with her I am going to pick up my niece because Friday night is her night for a sleepover. I had dinner with them last night and she is very excited. 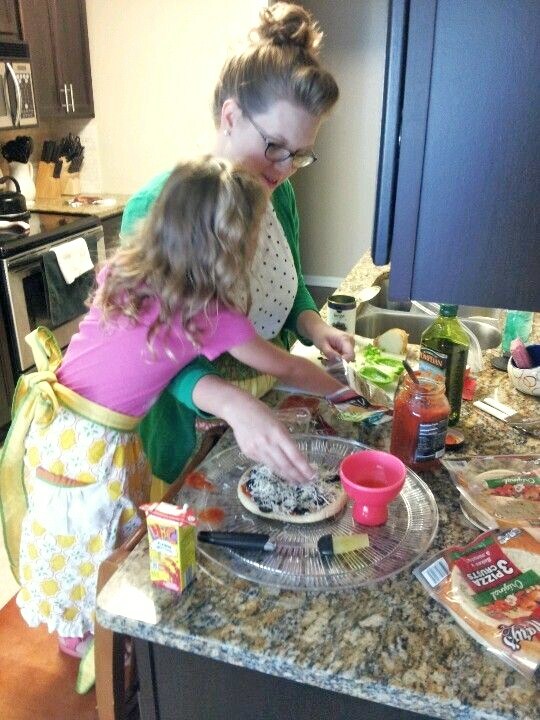 The plan is to make home-made pizza for dinner, she likes to be hands on in the kitchen so I tried to come up with a dinner that she could easily help with. We (she and I) are also going to do some baking because the next day we are going on a picnic after we go to the farmer’s market. 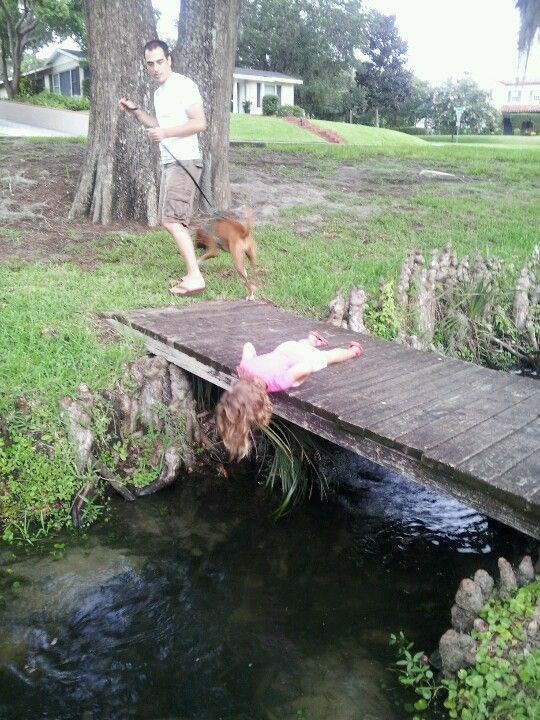 I think she will have fun.